Item is used but looks like new and still has original packaging. There may be some cosmetic flaws such as dents and scratches. 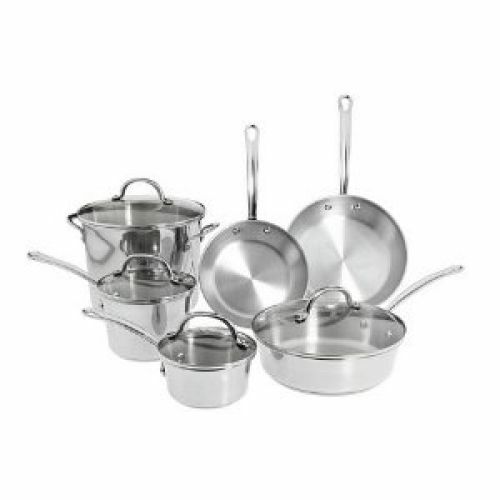 Professional Paula Deen Stainless Steel 10-Piece set with a fully encapsulated stainless steel disk for even heat distribution, dual riveted silicone comfort handles, tempered glass lids and durable nonstick coating for easy clean up.